Yarrow is one of the oldest native plants, in fact is is believed that Achilles used it to heal the wounds of his warriors. There are plenty of folktales that include mystical and medicinal uses for this pretty herb/weed, and here is one of my own. It was going to be a very cold miserable winter on the Emerald Isle. The family who farmed the land next to the sea had not yet harvested their crops, and rain was drawing near. Once the rain started, it would not let up. It would be the start of freezing rain and an hungry winter. The youngest daughter, a waif like lass named Catherine had a sweet disposition but nary a hard working bone in her body. She could however read very clearly the fear in her father’s and mother’s eyes. Her eldest sister had left this past summer to live with her new husband, and the family’s sod house had shrunken as the chores and work grew larger and larger without her help. Every night, Catherine prayed and wished for a husband to help her family work the land, but every night was filled with restless tossing and turning instead of dreams. So every morning she woke more tired than the night before and she had no clue whom her husband might be or when she’d find him. One day Catherine went to market at her mother’s bidding and she passed near the old healer woman who was selling herbal remedies for headache, nose bleeds and heartache. 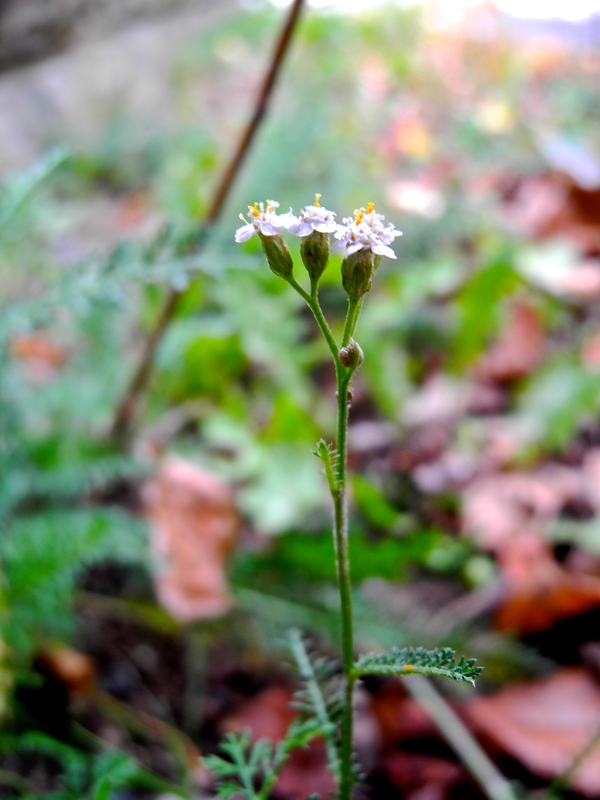 Yarrow was this woman’s herb of choice, good for staunching blood and curing fevers and pains. With a sharp eye, the healer saw exactly what the young girl needed and she beckoned her close. The healer woman whispered into Catherine’s ear and held her wrist tightly so she could not tear away before hearing the entire message. That afternoon, on her way back home Catherine came upon some yarrow plants growing in the fields, and she followed the healer’s instructions. She cut away some of the plant and tucked the greens and blossoms into her satchel. At home that evening, working quickly by candlelight, she sewed the yarrow into a bit of soft fabric and laid it under her pillow. She lay down to sleep, once again praying to dream of her future husband who might help them work the land and survive the winter. The night was moonless and long and the girl slept deeply. She dreamed many dreams, but only a watery image of a handsome gentleman’s face remained in her mind. She could not clearly make out his features, yet she felt more peaceful than she had in weeks. Catherine hurried to do her mother’s bidding and she ran down to the stream before the wind could bring the rain. At the stream, she bent down to fill her bucket with the icy water and she gazed into the rippling water. A vision came to her then, a vision of a handsome young man with clear blue eyes, strong arms and a broad chest across which he’d strung a bow and arrow. It was the man she’d seen in her dream! But it was only a dream and a watery recollection of it, no matter what the old healer woman had said. Catherine shook her head to clear her mind and as she did, she became aware of a presence beside her. Sturdy boots stood in the leaves at stream side, and a hand reached down to lift her up. Catherine stood, and looked into the eyes, the real eyes of her husband to be. Yarrow had brought her a husband, just as the healer woman had promised. That winter was warm with laughter and candlelight and new found love. Catherine and her husband lived with her parents until spring, when they settled nearby where the hunting was good. They shared their good fortune with Catherine’s parents and enjoyed a lifetime of happy years together. Catherine was always certain to plant yarrow outside her front door as a reminder of its power. Lucky for us, Yarrow grows nearly everywhere in the Northern Hemisphere and most of the Southern!!! It was found throughout the ancient world and is plentiful today. It thrives in every state in the USA. Look for it in fields, grasses & meadows. Its usual flowering season is from May until September. Sweet dreams!